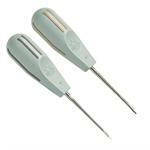 SPECIALLY DESIGNED SURGICAL CUTTING INSTRUMENTS. 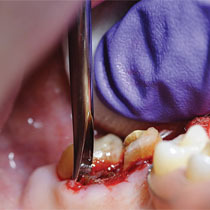 A real alternative to traumatic forcep extractions! 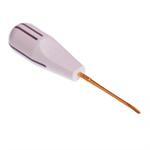 The Luxator is ergonomically designed for comfort and control during use. The shape and size of the handle is designed to minimize the force needed. 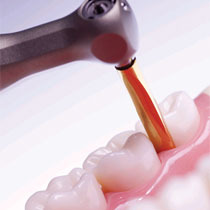 The tip is extremely fine, so that you can insert it easily between bone and root with the minimum of destruction. The specially processed Swedish steel used in the blade is extremely durable and it retains its strength and sharpness after sterilization. All instruments sold in Fixus 1 sterilizable tray. 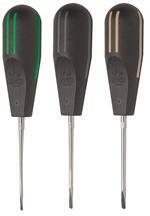 The Luxator line of instruments is now imported and distributed by Directa Inc. Cannot be used as an elevator. Integrated probing periotome and Luxator. Safer stepped insertion reduces the risk of slipping. Ideal for deeply fractured tooth and decayed roots. 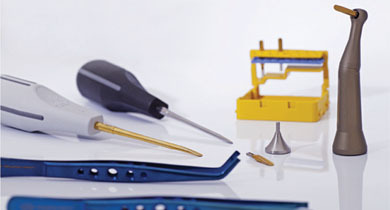 Titanium coating to retain sharpness. Do not sharpen. Sharpening Stone for Luxator Instruments. Protect & Store your Luxator® Instrument in these Fixus trays. 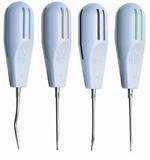 The RootPicker is ideal for removal of debris after extractions. 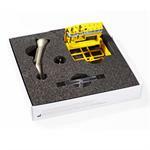 Setting a new standard for trauma free extraction offering improved precision & access. Optimal access, Reciprocating tip in vertical direction.